Hand carved furniture is a must! All rooms have their own bathroom! All this and terrific hunting as well! 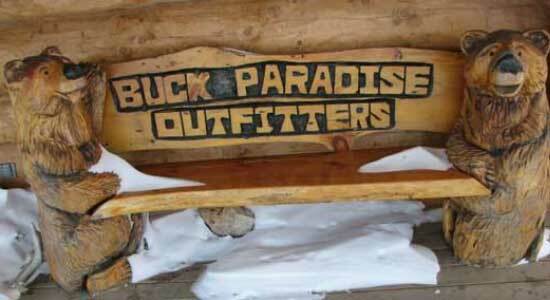 Buck Paradise Outfitters operates in Saskatchewan. 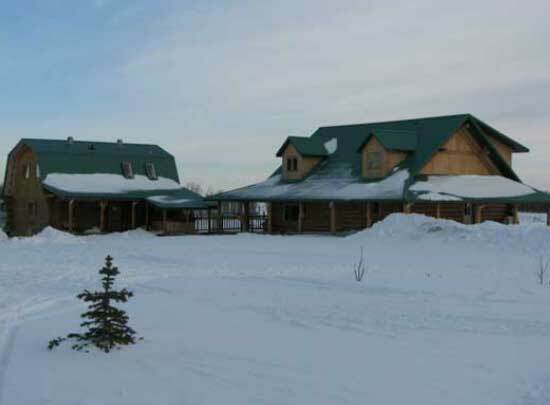 The home base is just a few miles north of Paradise Hill located at Kuypers Farm Ltd. 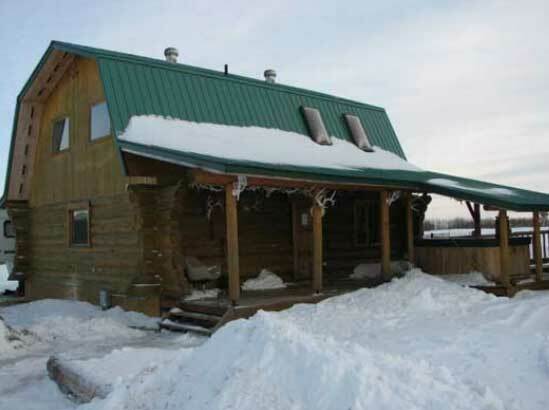 Deer, bear and bird hunters stay in the finest log cabins in Saskatchewan. "Log cabin" does not do these structures justice. 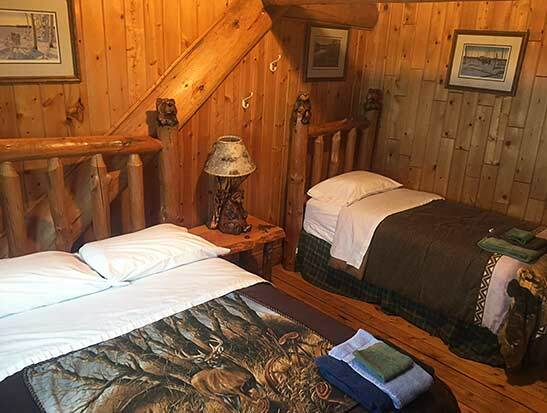 This is luxury log lodging! 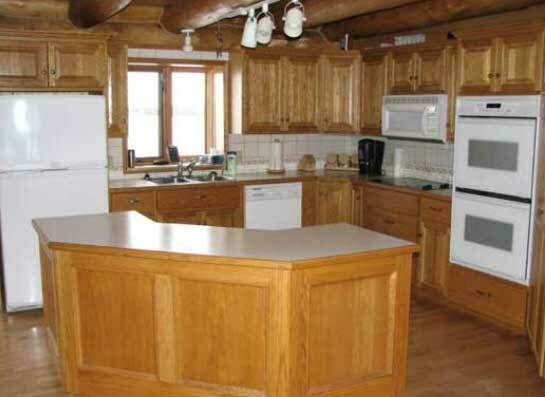 The log cabins are an incredible blend of rustic log construction featuring hardwood floors, tongue and groove cedar and huge Saskatchewan spruce logs. 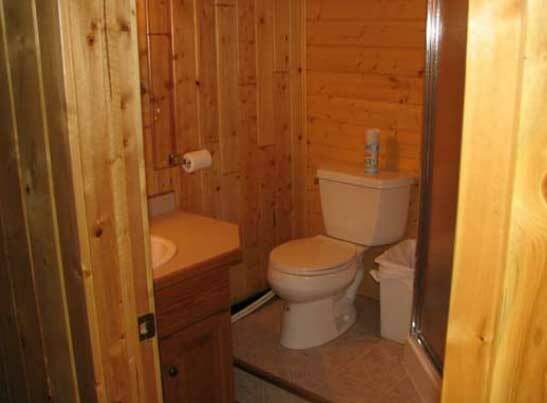 Don't worry about line-ups for the bathrooms in the morning... each room has it's OWN bathroom! 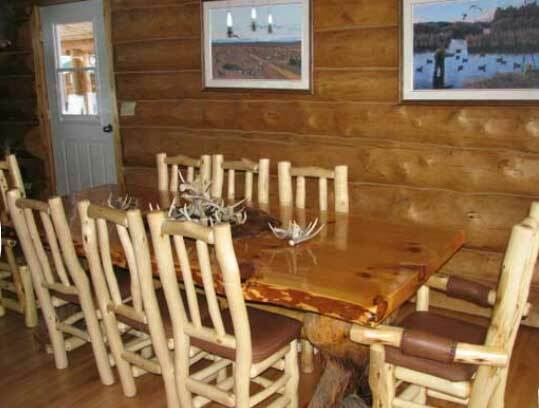 Of particular interest are the log carvings incorporated into the furniture throughout the cabins. Beautifully detailed bears and eagles adorn bedposts, table legs, benches and even the stairway railings! 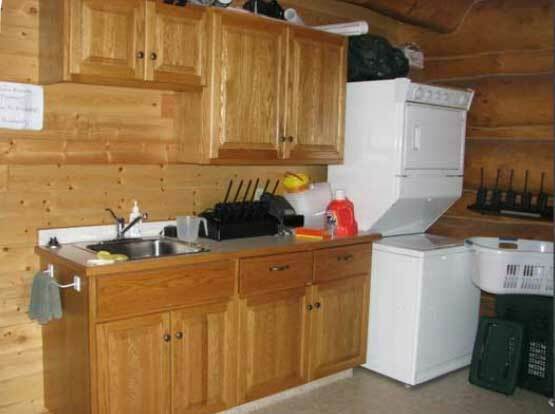 Full kitchen, laundry facilities and a "mud-room" for parking wet clothes and boots make these cabins super hunting bases. Guests can drive directly from Saskatoon or Edmonton airports or Lloydminster. For more information, please contact us: +1 780 214 4638 or grant@buckparadise.com. 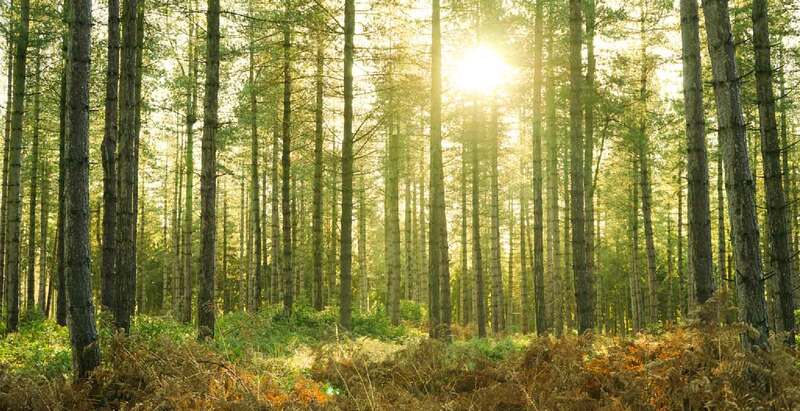 Arrive Sunday before the hunt and depart Sunday AM after the hunt. 100% Success on our Bear Hunts! High Percent Colour Phase Bears! Baited stands for the Archer hunter in mind! 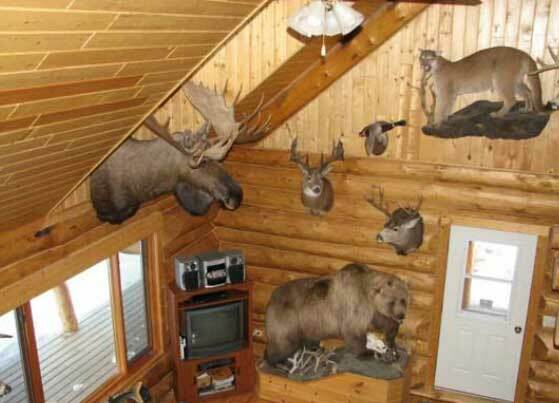 Book Your Hunting Trip Now! Booking 2017 hunts now! Call Grant today to reserve your spot! 6 day hunts $5500.00 License & Taxes included. 10 day hunts $7500.00 License & Taxes included. 6 day hunts $3500.00 License & Taxes included. 3 day hunts $2500.00 License & Taxes included.